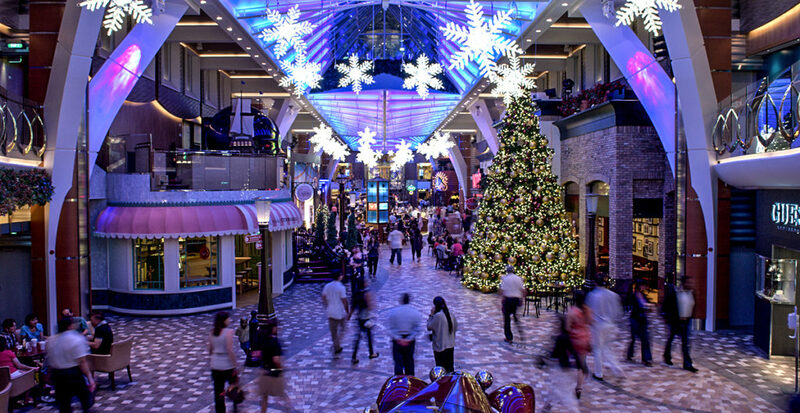 The warmth and cheer of the holiday season envelopes you the moment you step onto your cruise ship. Twinkling lights and a tree with all the trimming set the stage for caroling, parades and even a special visit from Santa! 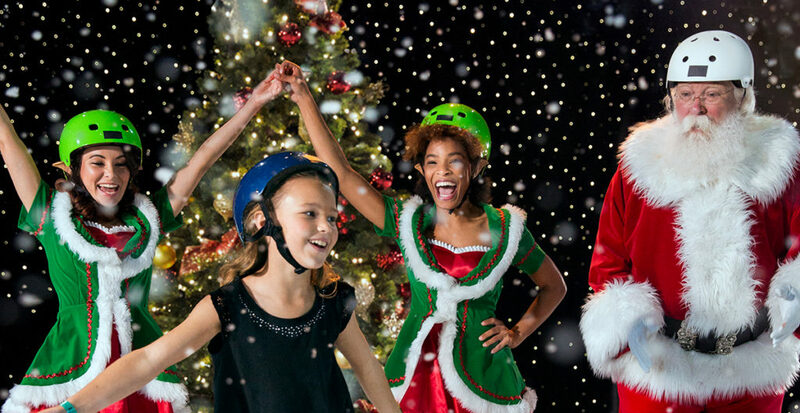 Your little ones will shine brightly during this most wonderful time of the year. Complimentary Adventure Ocean activities guide kids ages three to 17 through hands-on crafts, games and even science experiments. And that’s not all, young and young at heart can curl up and listen to Santa’s elves read holiday tales, write letters to Santa and watch classic Christmas movies by the pool. Hang out together or steal away for some well-deserved time on your own in the spa or adults-only pool. 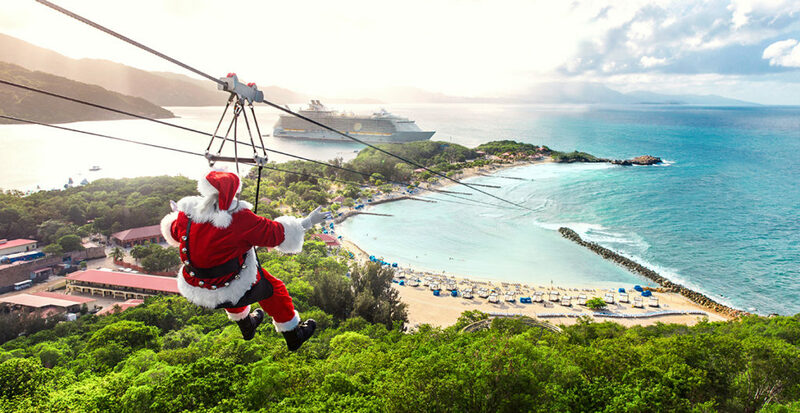 A Royal Caribbean ship is the perfect home for the holidays. Whether you’re looking to get active or simply relax, there’s something for everyone and every age. Only Royal Caribbean lets you ride the waves on board with their 40-foot-long surf simulator FlowRider. Waves not your style? Embrace the winter season while ice skating. And when the sun goes down, enjoy a variety of dining and nightlight entertainment. 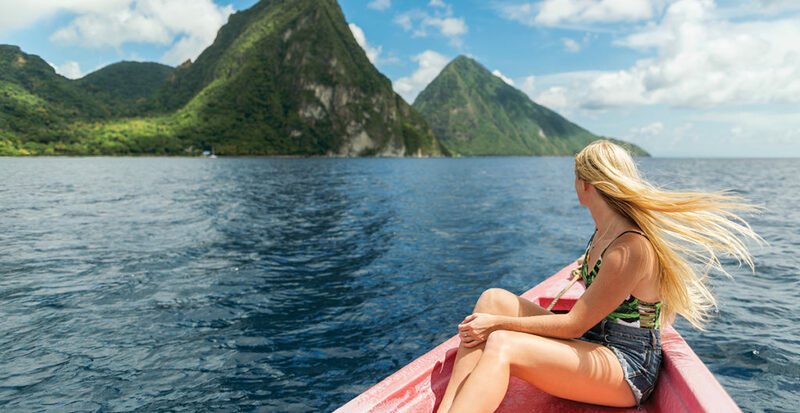 From the Bahamas to Barbados, diverse islands offer a world of adventures, and we’ll find the right voyage for you. Beauty and culture entire in the Southern Caribbean from the white sand beaches of St. Lucia to the candy-colored shops of St. Maarten. Paddle into the balmy sea, sunbathe on blissful beaches and zip line over lush rainforests when you spend winter in paradise. Plus, when we reserve your accommodations in the Royal Suite Class, you have access to personalized VIP shore excursions planned by your own Royal Genie. I am looking at a Christmas cruise. I already picked Dec 22-27. I have a family of 5 with my youngest 18 so all adults. My husband is a vet and I work for sheriff’s Dept too include any discounts. What package price deal can you arrange for me? Prefer flight from Appleton on Dec 21.